*2 RL.4.1 Activity Centers - 1. 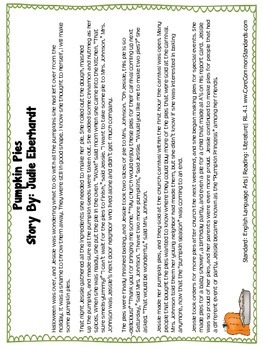 Read “Pumpkin Pies” and graphic organizer to make inferences and to show what the text says explicitly. 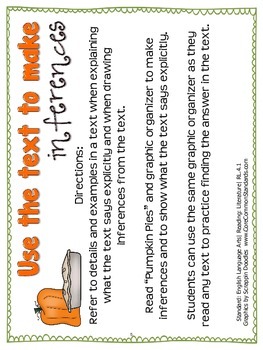 Students can use the same graphic organizer as they read any text to practice finding the answer in the text. 2. Choose a story. 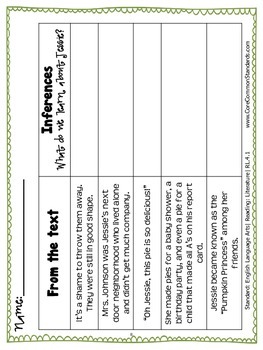 Using the evidence chains, make an inference about an event in the story, a character, or even what might happen next. 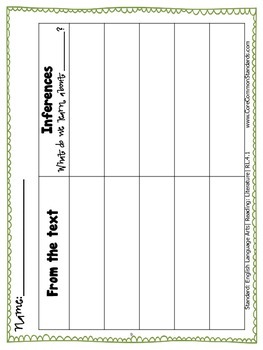 Then fill in the next two links with an exact quote from the story that supports your thinking and another supporting detail.